Persuade Britons to consider a new kind of protein-rich, environmentally responsible and universally abundant food: insects. The creepy-crawliness of insects is understandably a stretch too far for most of us. However, not having to see or handle them could make us more willing to give them a try. 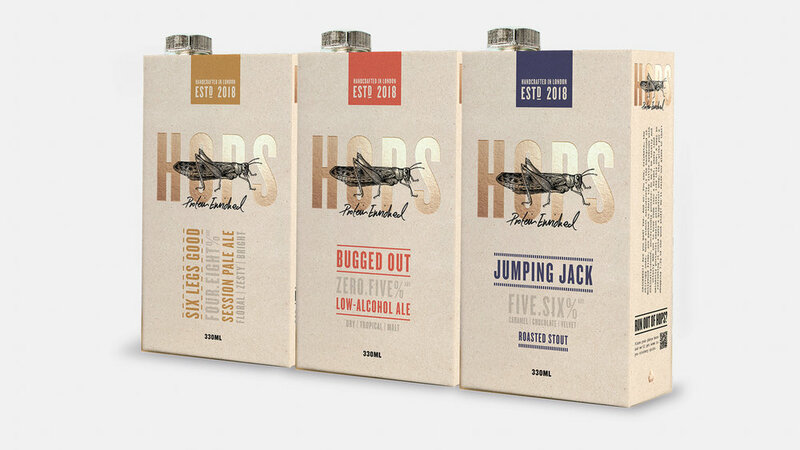 We created HOPS, a groundbreaking insect-infused beer brand, complete with a range of flavours, revolutionary packaging, and hop-up activations.